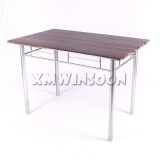 Master Carton Dimensions W44.5"*D29.9"*H5.7" (W113*D76*H14.5cm), 5pcs/ctn. 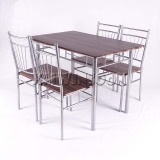 This Dining Sets has compact size so it will fit in smaller areas in your home such as a kitchen nook. 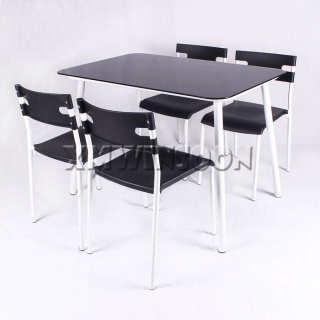 It’s a perfect solution for you update the kitchen or dining room decor, when you bore back this 5 Piece Grey Metal Frame Dining Room Set AA0210. 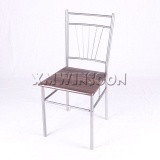 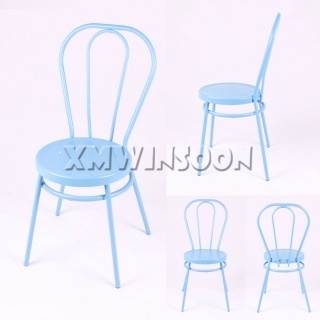 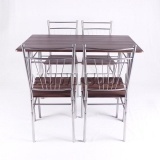 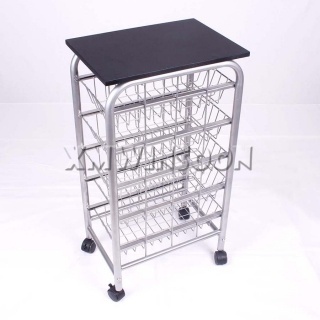 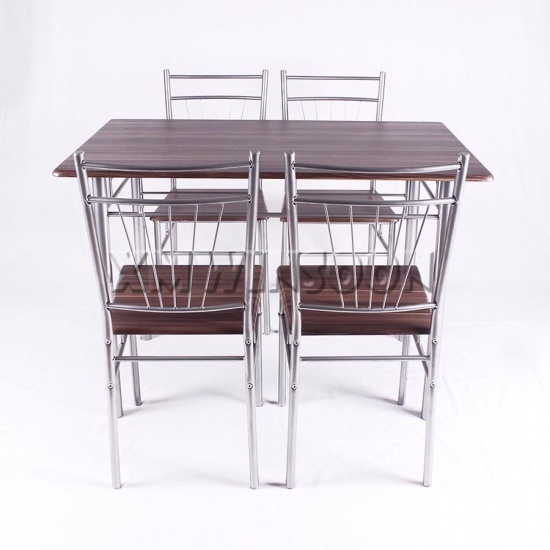 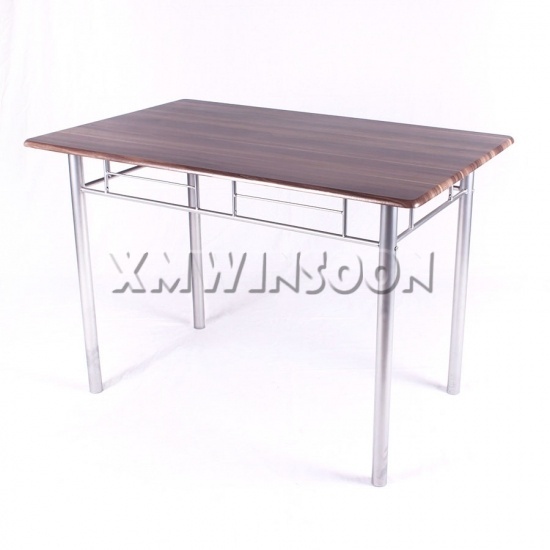 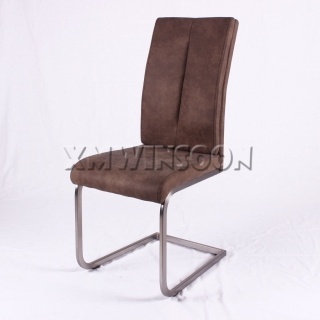 Because it has sturdy steel frame construction and MDF (Medium Density Fiberboard) both of table and chair, making it capable of enduring routine use for years. This Dining Room Sets has clean lines and a modern style, and the grey color of metal frame with walnut MDF table top/chair seat are classical combination of colors. 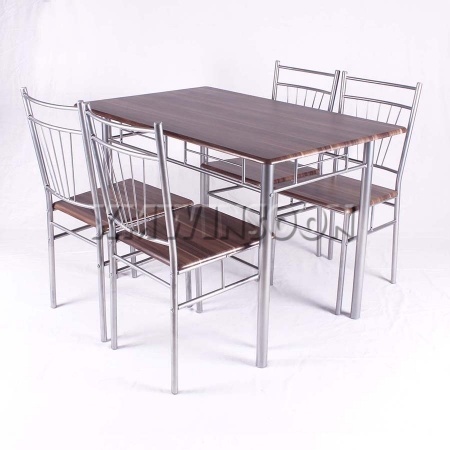 Use this 5 Piece Metal Dining Sets in your kitchen or dining room for a more casual feel when you relaxing with guests after a nice dinner.